Let us take the hassle out of organising your party or special event. We have a range of children's party packages from bouncy castles, to Princess or Pirate themed activities to crafts and multi-sports. 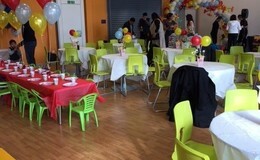 We have a variety of flexible solutions for hall space, furniture hire and catering. Prices starting from £75 for two hours! Please contact us for pricing and availability on 0191 236 8196. Fun, party game activities for any level whilst learning the fundamental skills of football. Enhancing communication, running and confidence. 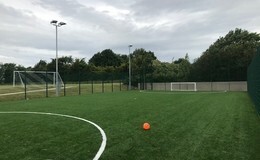 All parties delivered by FA qualified and DBS checked coaches. 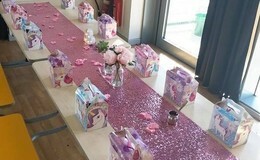 Bespoke party packages starting from £4.00 per head. These include children's catering packages with different themes such as Unicorn or Pirates! Party Package add on, Fidgets Fun Face Painting! Party Package add on, Soft Play! A range of castle’s available from Despicable Me to Disney themes. For children’s parties, we bring along all of your chosen ceramics, paints, sponges, brushes, etc and do all of the tidying up after the party. 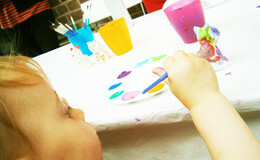 Throughout the party, the children paint their chosen piece which they then get to keep.Our parties are very popular, so remember book early! and covering all of the North East. A fantastic interactive musical party is absolutely perfect for children up to 5 years – and best of all, it leaves parents free to relax and enjoy the special event! Jo Jingles parties are great fun, we would love to help you to celebrate with an unforgettable musical party experience! Scales and Spikes Reptile Parties! Meet our friendly reptiles consisting of Land snails, millipedes, corn snakes, royal pythons, Burmese python, boa constrictor, bearded dragons, leopard and crested geckos, tortoise, iguana, frilled dragons and many more. You will be able to hold them and you are welcome to take photos as we go along. Looking for just a venue to hire? 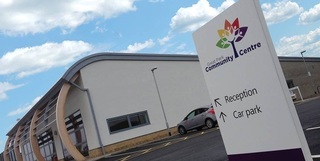 At Great Park Community Centre you don't have to book a party package in order to have a party at our centre.